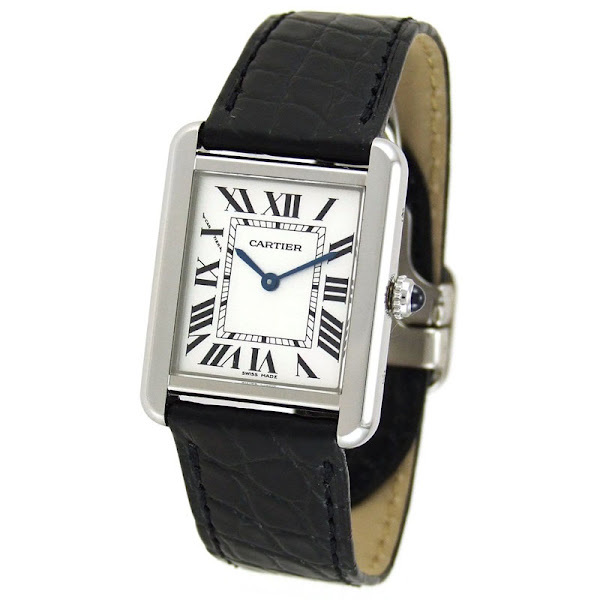 The W1018255 is Cartier's Tank series model with a smooth black strap is made of alligator. This wristwatch is the pinnacle of luxury and sophistication. This unisex watch features a scratch-resistant sapphire window, a stainless steel bezel, deployment buckle and circular-grained crown set with a spinel cabochon. This watch also comes with a set in a striking 23-millimeter. This cute timepiece begins with a polished stainless steel case. Besides, this opaline white dial watch has a bold Roman-numeral hour markers and a sword-shaped blue steel hands. Powered by Cartier's own Cablibre 157 Swiss-quartz with two-hand movement. Finally, this watch boasts water resistance up to 99 feet. Cartier W1018255 Watch's original price $2,595. You can find an original Cartier W1018255 Watch at the site(s) listed above. However, we don’t guarantee its availability as being listed here simply means that those site(s) has the item in question by the time we wrote the review.